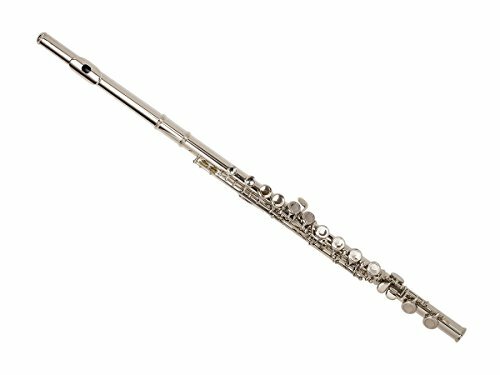 This 16 key, closed hole “C” Flute is a great choice of instrument for anyone looking to learn an appreciation for music. Perfect for kids starting in fourth grade band or adults looking to impress with some Ron Burgundy Jazz Flute solos. This flute is a great low cost instrument to get you started on a fun and empowering musical experience. Fully RoHS and Pro65 compliant means our instrument will not kill you or make you sick. This instrument has been tested by professional musicians and repair technicians to be a solid build with great tone and intonation. We understand the importance of having a quality instrument that will not bust our ever tightening budgets. We also understand the frustration that comes with playing an instrument that is not functioning properly. When your instrument is working against you it is hard to learn or have fun. Learning to play music should be a fun and enriching experience that helps you grow mentally and spiritually. Beautiful design. Great looking. Nickel plated body and keys. This flute got everything you need to get started. Well worth the price, comes with everything you need as a beginner.